This makes a nice warm appetizer. A small serving tray of these will disappear in no time at all. Yes, agaricus bisporus, the common white, or button mushroom gets invites to all the parties because he’s a fungi… ok, it’s a notoriously bad pun, but, unlike crab stuffing, I use it sparingly. 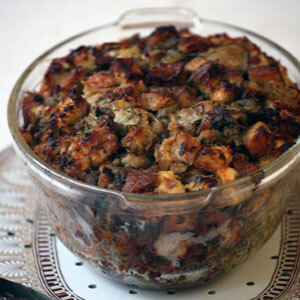 Combine ingredients (except mushrooms) to make the stuffing mixture. 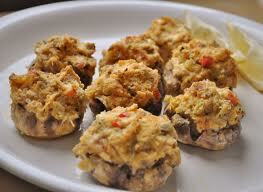 Remove the stems from the mushrooms, and sauté the stems in butter and add them to the stuffing mixture. 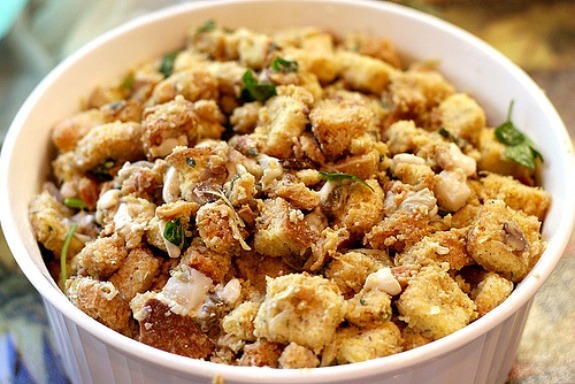 Stuff the caps with the stuffing. Place on a cookie sheet and bake at 350°F for 15 to 20 minutes. Let them cool a bit before getting them on the tray and out to the guests.